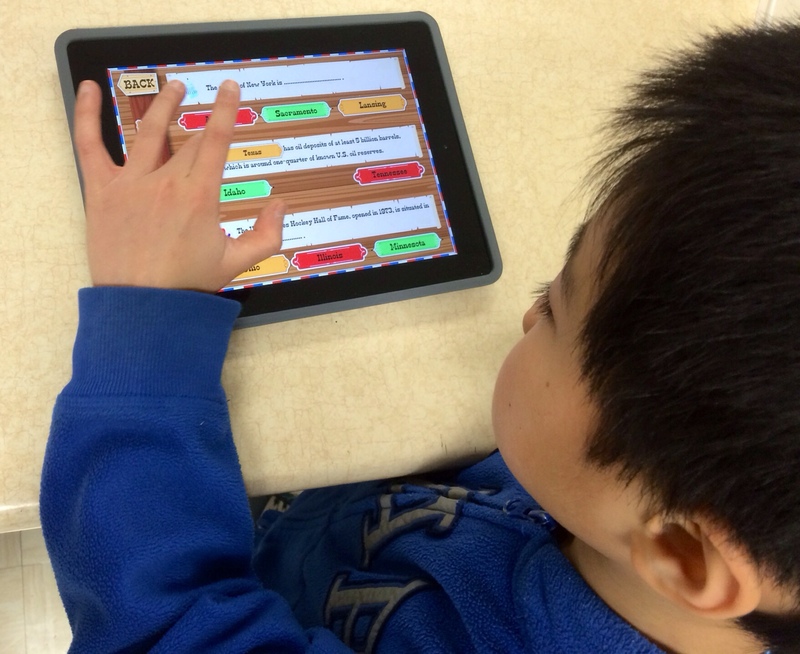 Here is a brand new app that both teachers and students will enjoy. 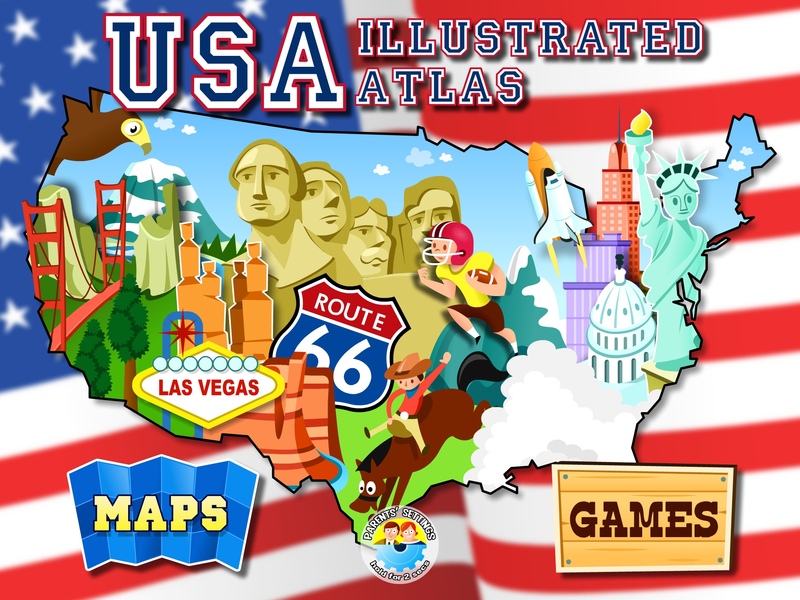 USA illustrated Atlas ($1.99, iTunes link) is a USA map app that features six different interactive maps plus four different review fun games the kids can play after the material is learnt. Discover several (almost 200!) different details about the Unites States through this app. 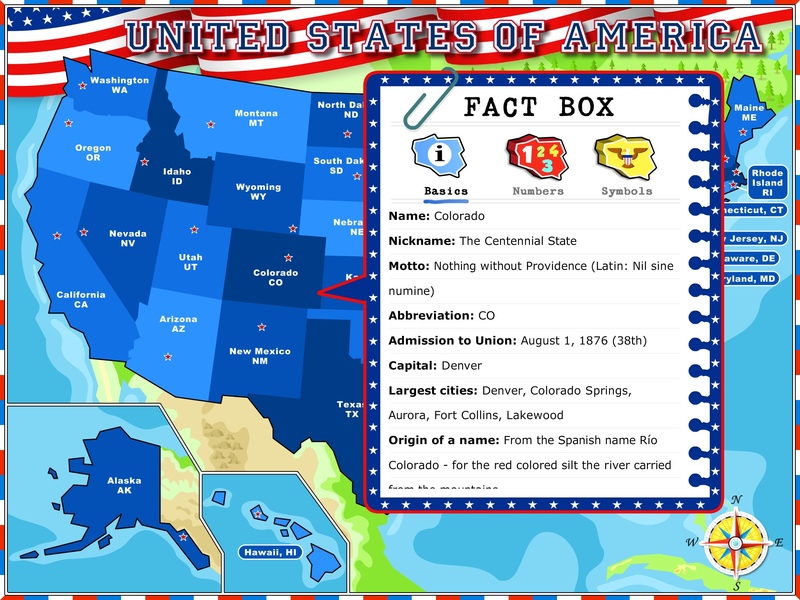 Learn the shapes, locations, capital cities, and a lot of other facts and figures about each of the states. Not only is there an impressive visual aspect of the app, there is audio provided too, which will pronounce for you the names of cities, states, rivers, mountains and much more. I recently showed this app to one of my students. He really liked the “neat graphics” and “fun user-experience”. “The art and images are very interesting; they capture students imaginations. This app will be good for both teachers and students. Students can practice at home, or even in whole group setting. With an iPad and a projector, teachers can play review games with the whole class. This map here is my favourite. It has all the interesting images of things around the United States. Once you tap an image, an INFO-BOX will appear and you can learn a little bit more about it. This map has even more information once you tap the state you can learn basic information such as abbreviations capitals largest cities, you can learn the size of the state and the highest peaks and the total population as well. Any teacher who teaches American social studies/geography will greatly benefit from this app. Kids will be engaged, and will definitely learn well. This can be a very good complement to the more traditional learning of geography: textbooks, globes and physical maps. 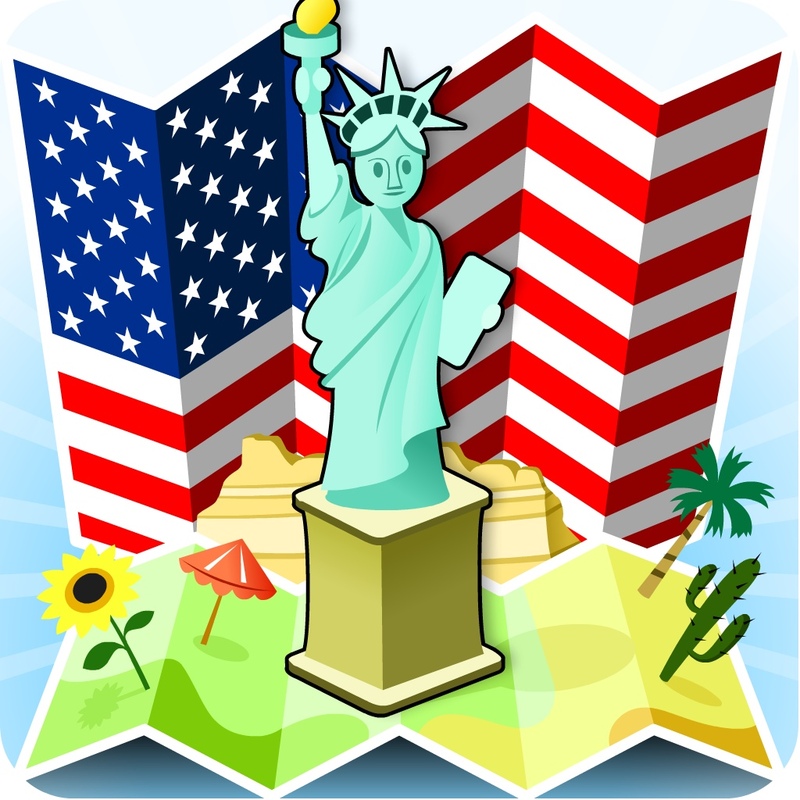 Your child or student will become an expert in United States geography after using this app. There are no obtrusive ads whatsoever, and no in-app purchases for students to click on. The graphics are impressive, and the games are fun to play. There is a wide range of US data that kids will not find boring at all. 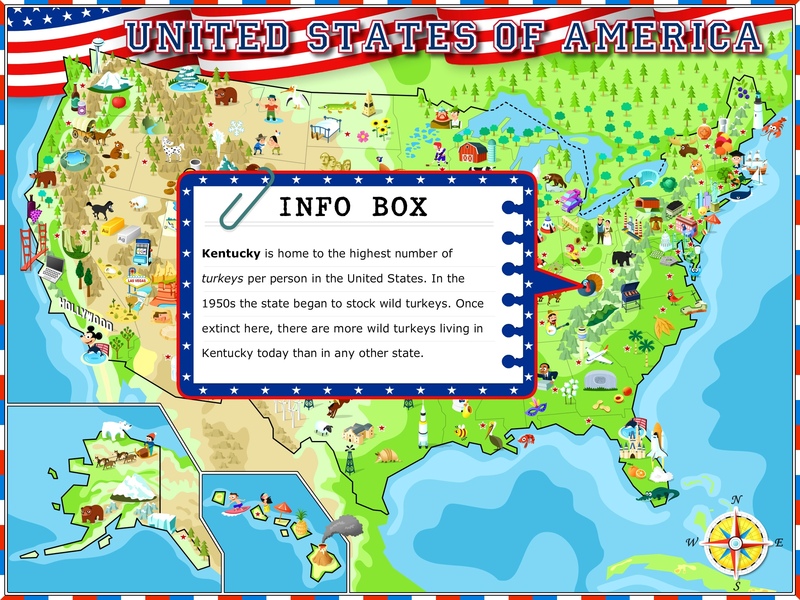 I would love to win a code for USA Illustrated Atlas… I am the tech integrator at an elementary school and I would use this with the 4th graders who are currently studying regions of the US. I would also like to try it out with the 2nd graders as the teachers struggle to find material that is useful and at the correct reading level. First comment! Thanks Maureen, I’ll get back to you soon! I too am a Tech Integrator and have third graders studying the Regions. It would be great to showcase this to their teachers as a possible purchase for their iPads. I, too, am a tech integrator and have third graders studying the regions. I would love to showcase this app to their teachers as a possible app to purchase for their iPads. Ditto. i am the technology integration coordinator for a school district with two K-12 schools and I would love to use this with both students and teachers. We would certainly entertain adding an app like this to our 1:1 iPads at appropriate grade levels if we find it to be as good as it looks! I’m in a second grade classroom and we’re working on our state research projects currently. I’d love the opportunity to allow my kiddos to explore this app if you have any codes left. I facilitate iPad seminars all over the US. Would love a promo code so that I can demo it during the seminar. Promo Codes to give as door prizes would be nice also. Thank you for the code! 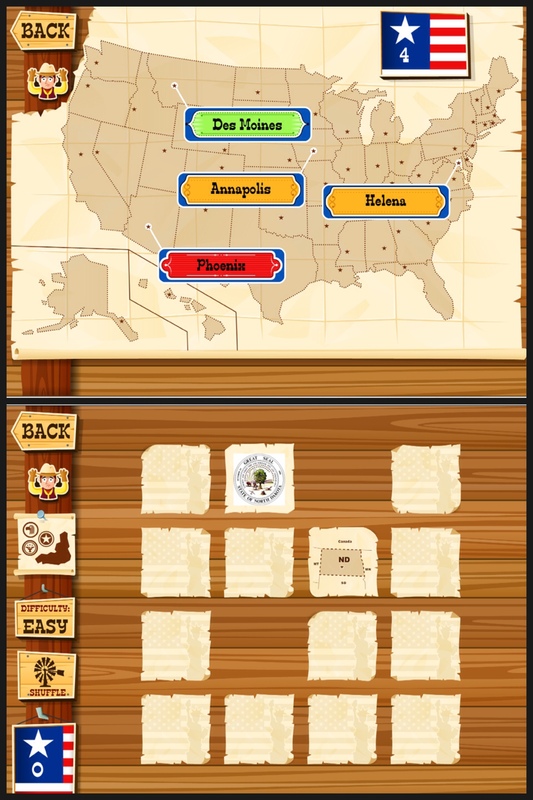 This app is highly engaging and will be quiet useful when the students jigsaw the regions of the US. They will be able to navigate the app to find out information on the states in their region. They will love to use this as a tool but see it as a game!